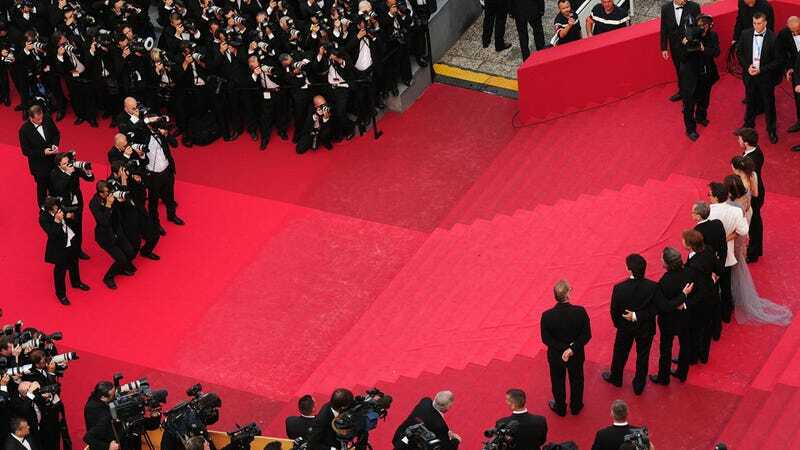 The 65th Cannes Film Festival is kicking off as we speak, and some 30,000 people gather in the sunny South of France — directors, producers, glamourous stars — in the name of cinema. Films from all over the world are screened. Often, good buzz at Cannes can launch a small film into a global sensation (last year's The Artist, for instance). For the 2012 edition, as with the 2010 edition, there are NO FEMALE DIRECTED FILMS in competition, and in the 64 years of the Festival only one woman — Jane Campion — has been awarded the Palme D'Or. And, of course, there are plenty of women at the film festival. Ladies get all dressed up to have their photographs taken on the famous red stairs. Cannes loves a woman who will simply pose and be stunning. That's how it's been for years. "I select work on the basis of it actual qualities. We would never agree to select a film that doesn't deserve it on the basis it was made by a woman…There is no doubt that greater space needs to be given to women within cinema. But it's not at Cannes and in the month of May that this question needs to be raised, but rather all year and everywhere." We judge films as human beings, shaped by our own perspectives and experiences. It is vital, therefore, that there be equality and diversity at the point of selection. The first signature on the petition is Silverstein's; the second is Gloria Steinem's. Will we be having the same conversation next year?